Sometimes I think Donald Miller doesn’t like Christian educators. Personally, I really like Donald Miller. I don't always agree with him, but I appreciate the fact that he asks good questions and makes good observations. Ironically, I probably appreciate these things because I am a Christian educator. 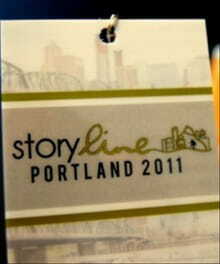 I recently attended Miller’s Storyline Conference in Portland, Oregon. It was my birthday present from my wife. So I was bummed to find out the keynote speaker didn’t like what I do. Yet, in his defense, Miller never said he didn't like Christian educators per se. Miller said that he viewed church as a school program from which we never graduated, and that's a bad thing. Why does he see the church this way? Because we follow an academic model. We discuss ideas, but we don't do much stuff (when Donald Miller describes "stuff," I don't think potluck suppers count). Why this emphasis on doing stuff? Remember, the setting for the Storyline Conference was downtown Portland. Portland has real needs: homelessness, shops featuring products that would make the vast majority of my native state of Oklahoma blush, and a variety of "orientations" (both sexual and otherwise). This diversity makes Portland an intriguing place to hang out, but it also means that the physical, emotional, and spiritual needs are real. So little wonder Donald Miller hasn't much patience with an educational model that never graduates students. Portland, Oregon needs graduates, badly. But then again, so does my current home state of Texas, which boasts a variety of seminaries, but hosts broken people so numerous that the church overlooks or can't reach. So although Miller didn’t necessarily mention the idea of graduation during each session, I think graduation was the major theme of the Portland conference: graduate by getting a vision and then going somewhere to actualize it. Miller encouraged us to find where our God-given passions intersect with a real need, and then get to work! Okay, Donald Miller, point well taken. The conference’s first night included a screening of a rough cut version of Miller’s new movie, Blue Like Jazz. The movie was originally put on hold because of a lack of funding, but then crowdsourcing provided the needed resources through an organization called Kickstarter. The setting for Miller’s Blue Like Jazz is Reed College, and the protagonist is a Christian student whose faith has been challenged both intellectually (by his experiences at Reed) and practically (by disappointments with his home church). I can’t offer a review of the film because a) I only saw a rough cut, and some of the movie was difficult to follow for technical reasons, and b) I didn’t stay to watch the entire film because of said technical difficulties. However, if Miller wants all of us to graduate, then making a movie about a college student who must navigate certain faith challenges makes sense. By the way, if you liked the movie Facing the Giants you probably won’t like Blue Like Jazz. Miller’s movie includes situations that will make some conservative viewers uncomfortable (but I won’t say more because, first, I don’t want to make this a movie review, and second, I don’t want to give too much of the movie away). So, here is tension; Miller reads the Bible and makes certain statements about God that are completely consistent with the sentiments of my more conservative friends (e.g., he refers to Moses as author of the Pentateuch – a view my more theologically liberal friends tend to reject), yet he strongly critiques church "business as usual." Miller is a liberal in the literal sense: one who wishes to grant freedom. He has no patience for rules-bound Christianity, but he also rejects antinomianism. So why reject rules-bound Christianity? Because Miller argues that God is not running a business, He is running a family; relationships are more important than rules. Miller encouraged his audience to free themselves from business as usual and join God’s real work. Over and over he called for Christians to join God's work of saving as many people as possible (and not necessarily through evangelism). And to underscore that point biblically, Miller began the conference with a discussion of Joseph's story in Genesis 37. And perhaps this suffering element is part of Miller’s distaste for how churches do education. Let’s face it: our culture wants to prevent suffering, and the church often brags about creating a “safe” environment. I will personally confess that I like safety and I dislike pain (pain hurts me, and I don’t like hurting). But until we are willing to take risks, knowing that some of our plans will fail, our dreams likely will go unrealized. Miller wants us to graduate from safety-seeking comfort to risk-taking climaxes (to borrow a story term). Throughout the conference, Miller told story after story of people who took risks, and those risk-takers demonstrated that by taking risks, they lived out a better story. The conference concluded with interviews of people who would seem to have “graduated.” One example: Miller sent out an email to conference participants, instructing them to bring a pair of new or gently used children’s shoes to the conference, but he didn’t tell us why. Then, during the conference, he interviewed Isabel Jones. Isabel went to Kenya in 2009, and was moved by the incredible poverty of the children she saw there, children who often contracted diseases by walking barefoot in unsanitary conditions. So she took a risk and started an organization to prevent it: Shoes for Kids (Miller commented on how people who were getting things done simply named their organizations what they were about, no need for super-creativity on that bit). What makes this even more impressive: Isabel is a kid herself. The conference concluded with a final interview with Ian Cron, giving out copies of Cron's newest book Jesus, My Father, the CIA, and Me: A Memoir... of Sorts. Cron also described the need to take a risk, telling the story of his son’s jump into a water-filled quarry from a 40-foot ledge. Cron’s son literally had to take a leap of action – a leap of faith in spite of fear. This concluding call for action underscored Miller's primary point: time to graduate. Which brings me to this question: Donald Miller (I realize you aren’t reading this, but I hope some of your fans are, and through the modern semi-miracle of social media maybe you will get this question), what would you like to see from Christian education? Give us specifics. How can we help graduate more students? As I walked to Whole Foods Market for dinner after the conference was over, I was struck by the sight of a grandmotherly homeless woman. As I passed by and gave her a few dollars, two ladies I recognized from the conference approached her. These women spoke with her gently, and introduced themselves as caring friends. I didn't stay to hear the entire conversation, but I was moved to think that these two women had found a place where their passions intersected with a real need just an hour after the conference. And so, it appears that the Christian community has at least two graduates. Now that I really think about it, maybe Donald Miller doesn’t actually dislike Christian educators (those who challenge their students to grow into maturity). Instead, maybe he dislikes Christian baby-sitters (who entertain their charges and simply keep them safe). Stanley J. Ward is the Director of Campus Life and Ministry at The Brook Hill School in Bullard, TX. He is also the author of Worldview Conversations: How to Share Your Faith and Keep Your Friends.